As I am in the home stretch of my first year as a junior high librarian, I thought it a good time to reflect a bit. One of my focus areas this year has been literacy growth. Part of that is have an environment and culture within the library space that is welcoming and engaging for students. Simply put, I want kids to be excited about coming to the library and more so about reading books. As a result of this reflection, I wanted to highlight some of the things I have done this year in an effort to help both of these areas. I have a belief that one of the most powerful things we can do as educators is to share with kids what we are reading and what we love about reading. Kids look up to us and will connect with us in a literary sense. If we tell them we read a book and we loved it, they will be more inclined to pick it up. I book talk 50-60 books in any given week and most of them are checked out and read by students. If I don’t have time to go into a classroom and talk to students, I will create a book trailer for students to watch. This is a great alternative for students to watch if they can’t come to the library. In addition, it is a great resource for teachers to post in their LMS or online resources for students to access whenever they have the time to. I have been extremely fortunate that in my district we were able to acquire a set of Google Expeditions. While this is a new asset in our library, it is bringing the kids and teachers in for sure. Just this week I was taking health classes on a tour of the respiratory system. It was a learning experience that would not have been possible without this technology. This is just another fantastic resource our library has to offer that can enrich the learning experience of all students. Many teachers and schools are aware of the phenomenon that is BreakoutEdu. We have a handful of these kits in our library and they have been received with high levels of enthusiasm. 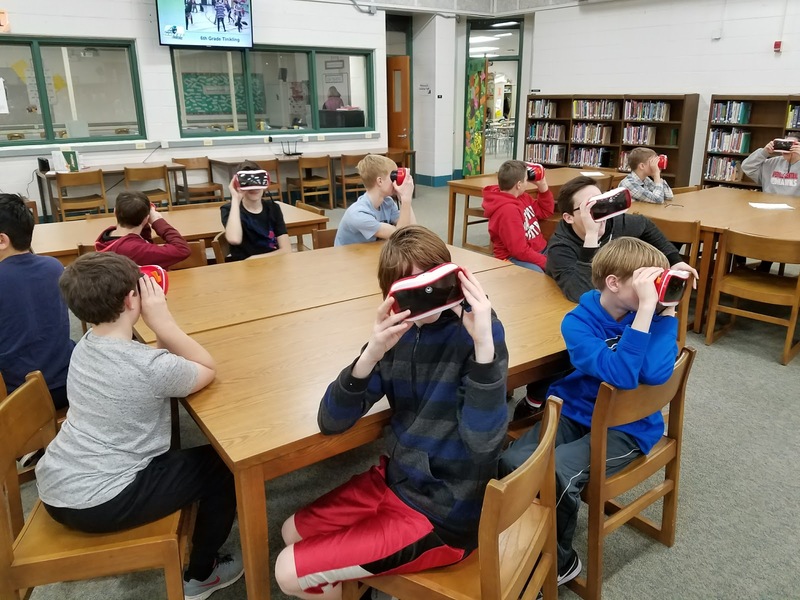 If you have not engaged students and staff with this game, you will be blown away at the engagement and interest levels. Probably the biggest shift I made in the library, and still in the process of doing, is reorganizing our collection by genre. It has been my experience that students come to the library and ask me to help find them a good book. Often they know what genre of book they like but struggle to navigate the collection to find that. 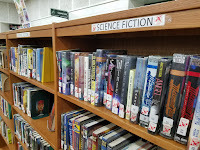 Most kids know what kind of story they like but often fail to find them in the mess that is a fiction collection organized by author’s last name. 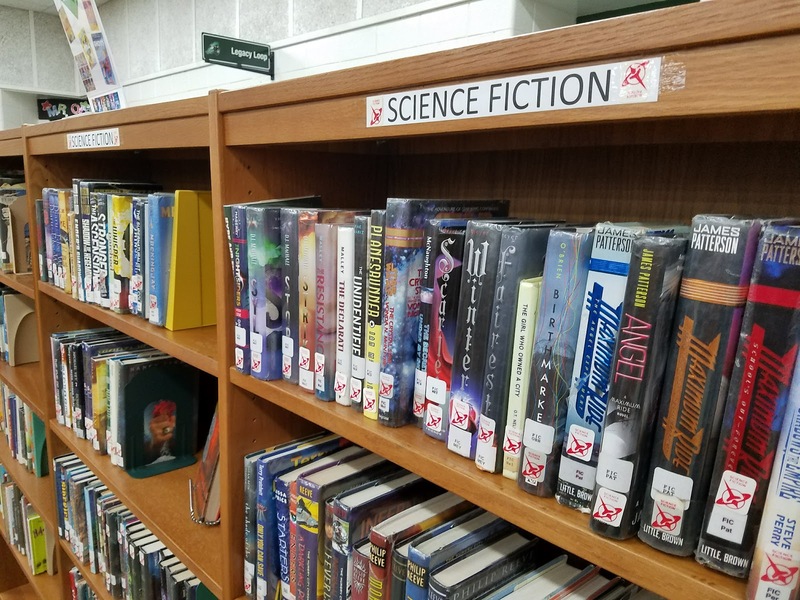 By creating genre sections in the library, kids are easily able to locate books in their wheelhouse and also easier to steer them to try something new. I believe kids often have special connections with their teachers. For some kids their teacher is viewed as a role model and in some cases an inspiration to them. As a result I have gone back to the 1990’s and created “Staff Picks” section in the library. This rotates periodically and is a place where staff can put together a list of their favorites. Kids love this one! Another big change in our library was the weeding process which is ongoing. I won’t go into specific numbers but let’s just say we made a number of healthy donations to some schools in need. My philosophy was that if it was not be circulated or used in a curriculum, we removed it. We had many titles not touched in 10+ years. As a former content area teacher, I was blind to the books in the library that would have supplemented my teaching. I have started pulling books both from the fiction and non-fiction collection to share with classes. For example, when our 6th grade history classes were studying Ancient Greece, I pull graphic novels, fiction texts, picture books and non-fiction titles from that topic area. It was a great way for kids to connect their classroom learning to great literature. Without a doubt, the best thing I have been doing in the library is holding what we have begun to call “focus groups”. These are almost always made up of a small group of students. I call these groups together randomly and just get their feedback on new things in the library or ask them what more they want to see happen. As I continue to evolve our library into the optimal resource for all students and staff, these focus groups will be an integral part of that change. I hope to continue in my reflecting on my role in the library as I continue to learn and evolve the space to best suit the needs of my students. If you are a librarian or work with a dynamic one, please share their story in the comments or connect me to them. I am always willing to learn and grow!